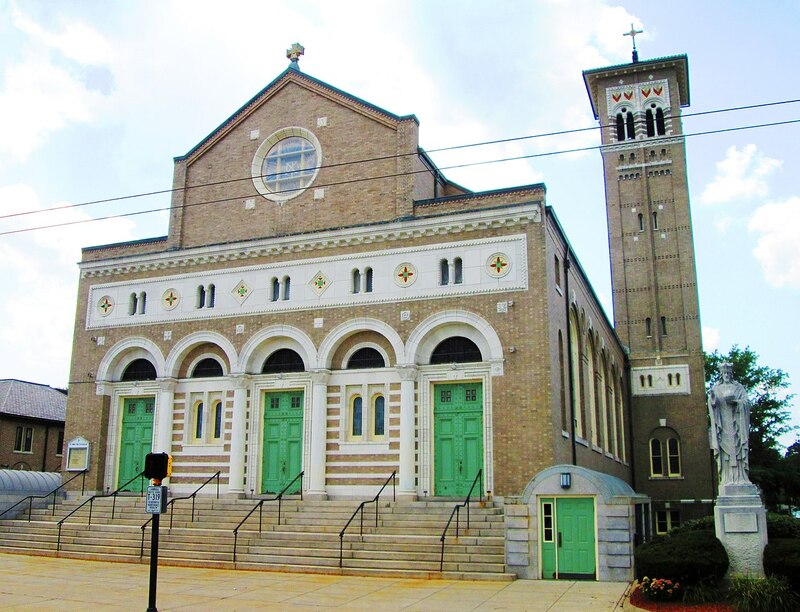 St. John the Evangelist parish in Cambridge, MA began as a mission of St. Peter’s in 1890. 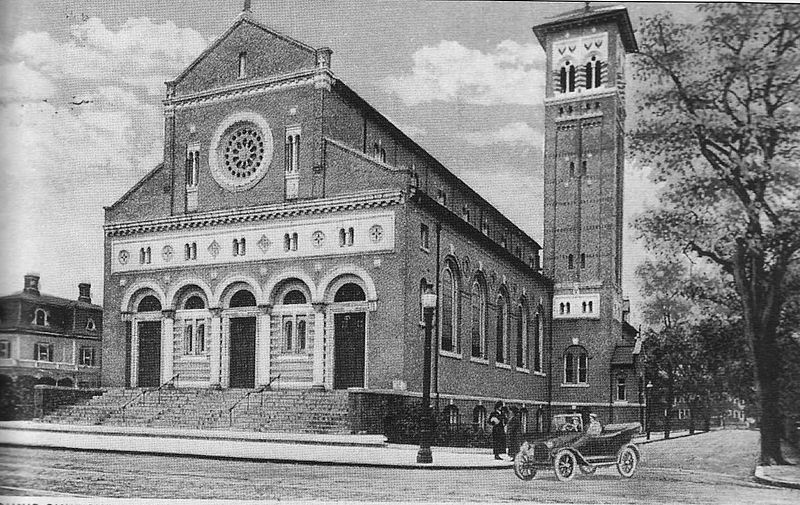 In 1893, St. John’s became a separate parish with their first pastor Father John B. Halloran. Mass was celebrated in a small wooden chapel on Rindge Ave. In 1904 work began on the new church, built by Mr. Stephen Brennan. 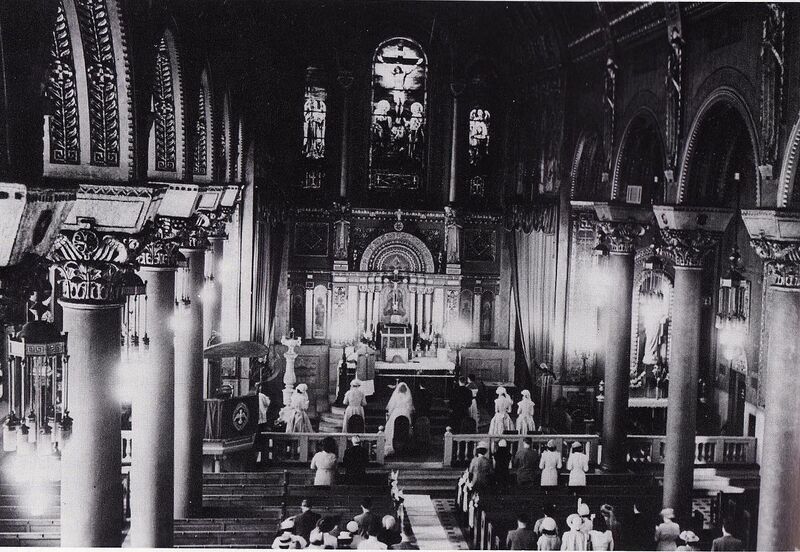 The first Mass was held on Easter Sunday 1905 and the church was dedicated the same year. In 1913 a primary school was opened and also a convent for the Dominican sisters that were assigned as teachers. In 1921 they had enough students to open a high school, and in 1932 the reached record enrollment of 435 ( and 1160 in grammar school). A shortage of Dominican sisters resulted in a need for lay teachers in 1956. Later in the same year a fire destroyed the church building. Mass was celebrated in the school auditorium until the church could be rebuilt. The fire caused the roof to cave in, falling into the nave of the upper church. 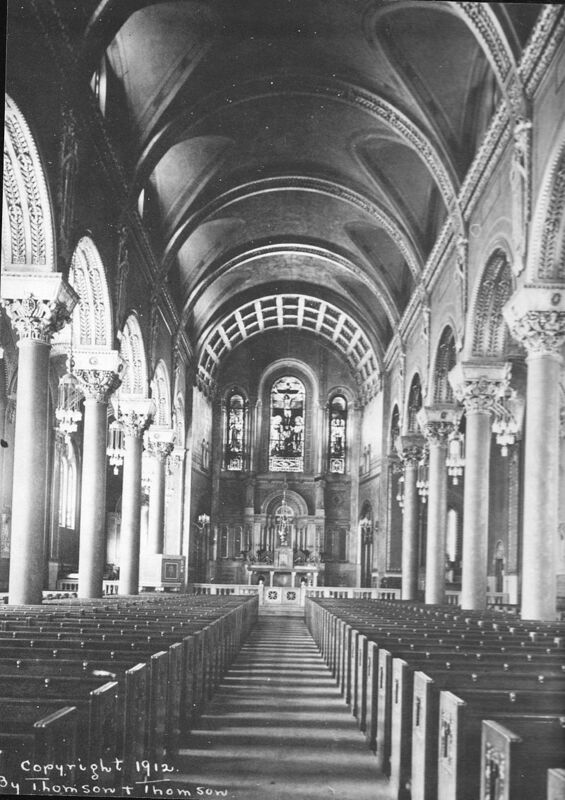 Much of the upper church was razed in 1957. April 1957 rebuilding began. The new church was completed in 1962 and remodeled in 1998.